Mels Box of Chocolates: Is 6 Too Young To Have Boys in Your Room? Is 6 Too Young To Have Boys in Your Room? 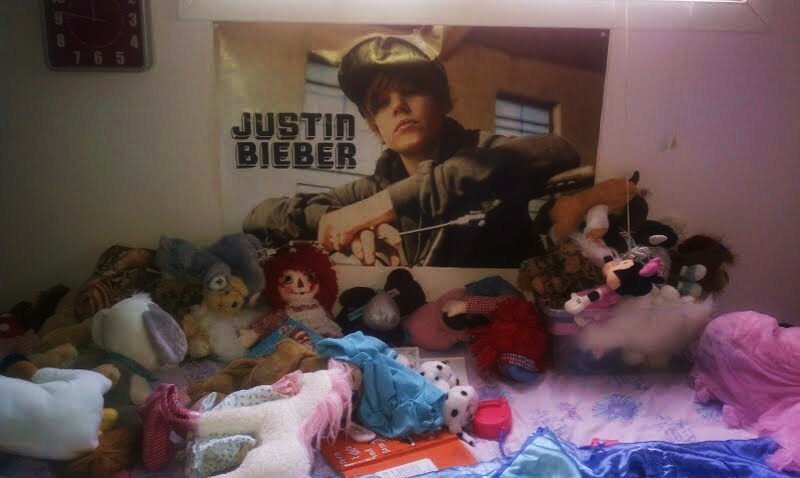 My daughter is a Justin Bieber fan. Now she has never seen him on tv, watched his music videos, or anything like that, but she did get his cd for her birthday and then this Christmas she got this in her stocking. She hung it up herself using tacks and a hammer. I couldn't figure out what she was doing in her room when I heard the banging and then went in to see Bieber hanging behind her bed. For the record, I did buy her the poster. After asking daddy of course cause he wasn't so keen on Bieber. He gave his permission though and Zoe was beyond thrilled when she opened it. But, after tucking her in and looking at the poster hanging there these last many nights, I started wondering. Is 6 too young to have pictures of boys hanging on your bedroom wall?